This week I found some time to work on the nightstands. 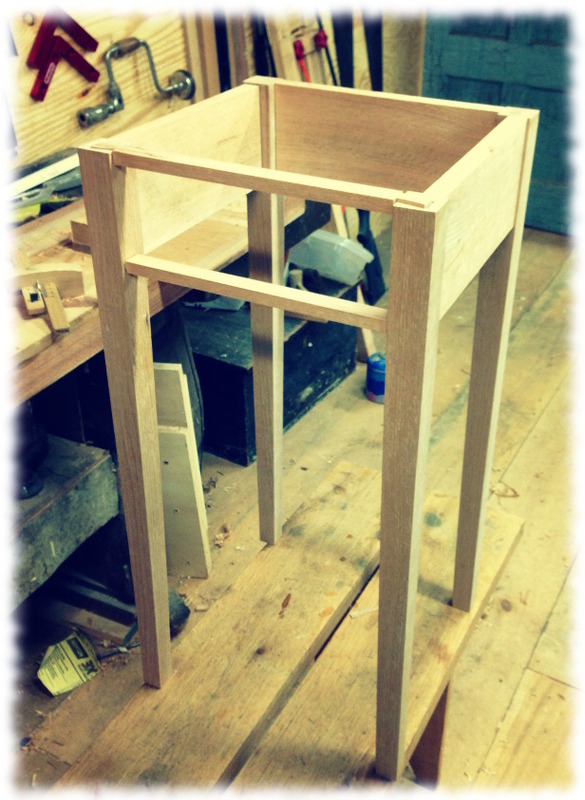 I have material milled for both stands, but focused on putting together the first stand. Will came over for dinner on Tuesday night, and for the night on Wednesday, so I had a little less time than I had planned – but it is worth taking time from the workshop to spend with him. But I also did get workshop time both nights (a big thank you to Susanna for encouraging me to get out of the house and work on my projects). I was able to get the carcase of the first table assembled. I still have to adjust one tenon and clean up two of the aprons prior to gluing up, but I should be able to glue up the carcase the next time I’m in the workshop. The tables are made from red oak. I cut the mortises by drilling out the waste on the drill press and using a chisel to clean them out. I could use a good 1/4″ mortise chisel – that will be on my Christmas list (I’d love a 1/4″ English Mortise Chisel by Ray Ilse from toolsforworkingwood.com). The tenons were cut by hand. I did the first several using my dovetail saw – but the saw is for detail work and took forever to cut the tenons. The last two I cut using my carcase saw (an old backsaw sharpened by Matt Cianci – “The SawWright”). If you have any old handsaws that you need sharpened, I would highly recommend him. 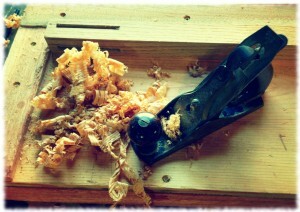 He is backlogged, and it takes 10-12 weeks, but a professionally sharpened handsaw is amazing to use. The next step is to glue up the table and add the cleats/runners. Then I have to finish milling, glue up and add the top. Finally, I will have to mill the lumber for the drawer and build the drawer. I’m still a little nervous about cutting the dovetails for the drawers. I plan on trying to route out the mortises on the next table using a 1/4″ upcut spiral router bit I just purchased. I’ll let you know how that works out. I am not sure I can get the full 1″ depth of mortise on the router table. I may have to clean out the tenons with a chisel – so it may not save me much time on construction.